The last few decades of the American theater have seen a rapid growth in the number of ‘devising ensembles’—playwrights, actors, directors, and designers working together in collaborative groups to develop plays. 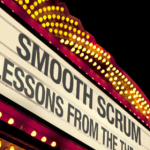 It’s agile development for the American stage. Instead of beginning with a script—which is really nothing more than a fixed, detailed set of requirements that have to be met in design and development—theater artists are working collaboratively to transform a few rough (user) stories into a fully fleshed-out experience through the theatrical equivalent of sprints… with tremendous, ground-breaking results. 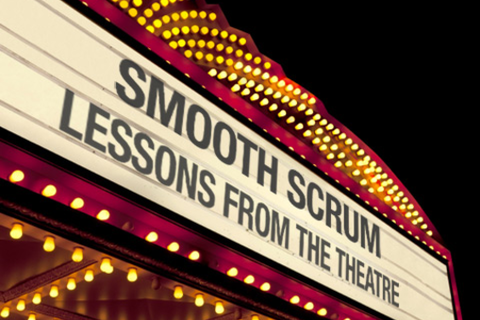 Any number of lessons from the world of devised theater can teach us a great deal about how to make scrum projects more creative, satisfying, successful, and smooth than their traditional waterfall counterparts. In my presentation at South by Southwest, I explored those lessons in depth. You can listen to the audio recording embedded below—although, for reasons beyond my control, the recording is of less-than-optimal quality, and it begins roughly 18 minutes into my talk—and view the accompanying slide presentation.